Tulsa is joining the parade of places that are providing economic development incentives to people who are willing to relocate there. I previously mentioned Vermont’s program and also that of a Cincinnati suburb. I’ve been pretty critical of these. They have the whiff of desperation about them even though these places should be positioned to attract people. 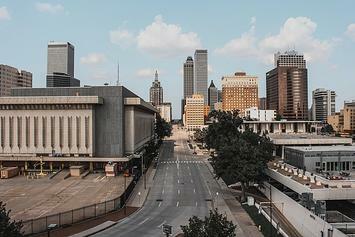 Tulsa in fact is growing right in line with the US average population growth rate. I’ve never been to Tulsa so won’t comment on them specifically. I just find it curious that so many places are turning to this approach to try to lure talent. There are so many other traditional ways to market your city to outsiders that haven’t yet been exhausted in these places. My recent paper on civic branding talks about how cities overwhelmingly try to sell themselves using generic descriptors rather than stake out a unique place in the market. I’ve been puzzling over why this is for a long time. It’s probably multi-factoral. At some levels many of these places don’t actually want to attract outsiders because that would threaten the status quo. (Though cities going to far as to offer $10K to someone to move must mean it). It’s also the case that civic marketing is often overseen by committee and is handled by the agency responsible for, at the end of the day, booking conventions not luring residents. And also maybe that the real primary audience for this material is internal. There are definitely a lot of places in America that face legitimate challenges and where convincing someone to move there is going to be a tough sell. But there are many other places that have all the potential in the world but don’t seem to be interested in achieving it. For those that do want it, I’m not convinced a generic financial incentive to relocate is the right answer.